The family and I try to go to Salida, Colorado as frequently as logistically possible with small children. If you’ve never been, it’s a pretty awesome place… rivers, mountains, pastures, patios with good beverages… all the good things, really. One of the key features of the city is Tenderfoot Hill, a nice trail system across the river and old railroad tracks from the main drag (F Street). You can’t miss it: It has a gigantic “S” on it, and is a siren call to hikers young, old, and those obligated to prove to their kids that they still have some sort of athletic ability left in them. Why, this is the yearning of all dads who throw on the ridiculous child-carrying-backpack and lug a 30-pound toddler up a cliff face… right? In all honesty, I bet most parents look at things this way. 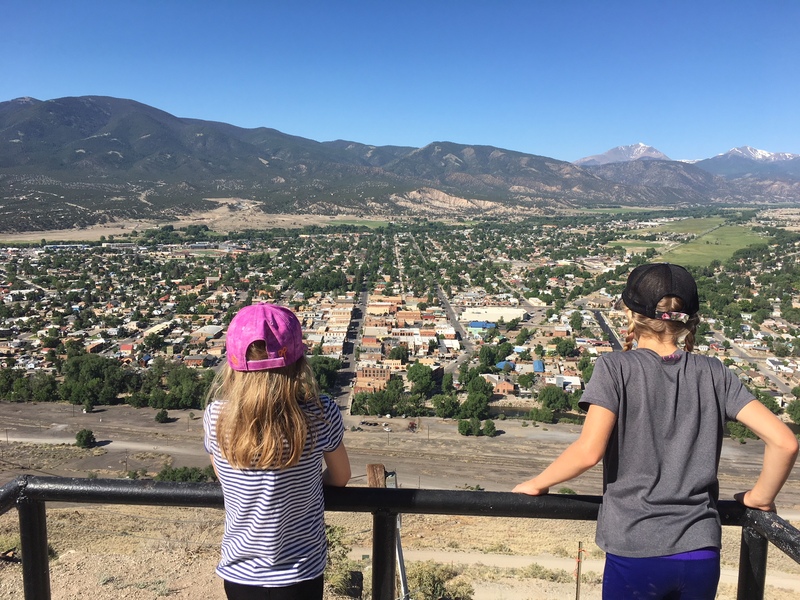 Somewhere along the way between drinking Budweiser E and analyzing breathing patterns through the baby monitor, parents seem to lose the ability to capture desired outcomes in concrete terms — like hiking to the top to get a super cool view of Salida. And as it turns out, the tendency to forgo simple, concrete goals in lieu of unquantifiable and unbounded outcomes is a central element of what we see in retirement planning. What are you saving for in your 401(k) or TSP? In our minds, it starts with well-defined goals that are developed by concentrating on what’s important to you, how you view money (both growing up and now), what your passions are, and how you want to use your wealth as a tool to pursue your purposes. Saving for “retirement” doesn’t cut it. Saving for that annual family reunion, or that honeymoon that you never got to take because Afghanistan or Libya happened, or your grandkids’ college, or an island, or a trip into space with Sir Richard Branson, or a lifestyle budget of $100,000 a year… these are concrete goals that you can save for. Can you get there from here? Maybe, but at least you’ll have managed your expectations along the way instead of targeting an undefined outcome. Are you ready to put pencil to paper (or keystrokes to Excel)? Good. Because we’re launching a series of blog posts and videos over the next 3 months that are going to help you build your own financial plan. Even if you’re a diehard do-it-yourselfer with more Excel sheets than an investment banking analyst, we’re confident that our approach is going to help you re-think your priorities and focus more on getting a plan in place that will help you actually enjoy the things that are special to you… instead of fidgeting with numbers, account values, and projections. And when someone asks what you’re saving for, you can confidently list out all of the goals that your hard-earned dollars are helping you reach.